​The Citrix PVS target device trust relationship failed and getting the error message "The trust relationship between this workstation and the primary domain failed", while booting the Citrix PVS Target device from vDisk. It happens when there is a mismatch of machine account password in the PVS target device and Microsoft Active Directory or the Active Directory machine account password management option was not selected under vDisk File Properties. To fix the issue, shutdown the server. 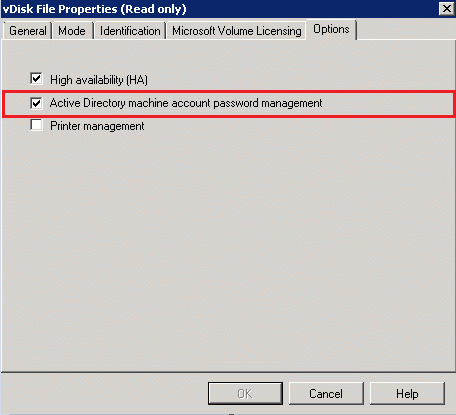 Go to the vDisk File Properties and verify "Active Directory machine account password management" from the Options tab is selected. 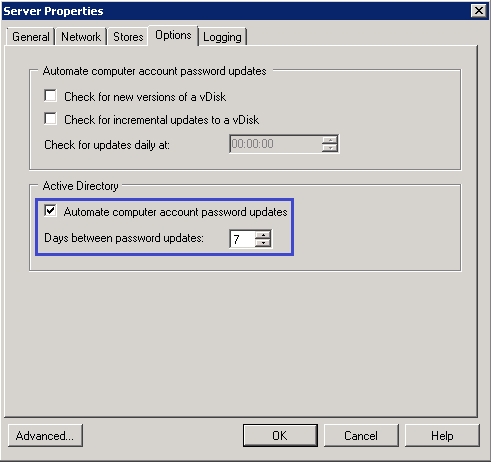 Verify the Enable automatic password support is enabled on Servers Properties in the PVS server console. Validate the value for Change computer account password. If the above mentioned steps are verified, follow the below steps. 1. Right-click on the target device, select Active Directory > Reset Machine Account Password. 2. You will get the pop-up window for selecting the Domain and Organizational Unit of the Target Device. Working as a Consultant - Citrix solutions architect with 15 years of experience in the IT industry. Expertise in Citrix products and Windows platform. This entry was posted in Citrix XenApp. Bookmark the permalink.